X Sunlight colors it red. When the small ball is drained of nutrients, it shrivels to herald evolution. X Sonnenlicht färbt es rot. Verliert das kleine Bällchen Nährstoffe, welkt es und die Entwicklung beginnt. X Il rougit au soleil. Quand la petite boule est à court de nutriments, elle fane en signe d’évolution. X Bajo la luz solar es rojo. La esfera pequeña pierde sus nutrientes y se seca para anunciar la evolución. X La luce solare lo tinge di rosso. Se la pallina esaurisce i nutrimenti, si avvizzisce indicando l’evoluzione. X 햇빛으로 빨갛게 물들었다. 영양분이 흡수되어 작은 구슬이 시들면 곧 진화한다는 뜻이다. 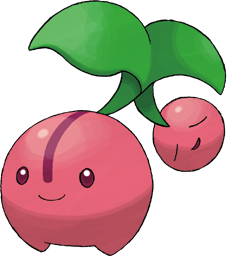 Y It evolves by sucking the energy out of the small ball where it had been storing nutrients. Y Es saugt Nährstoffe, die in seinem Bällchen enthalten sind, und nutzt die Energie für seine Entwicklung. Y Il aspire les nutriments de sa petite boule pour pouvoir évoluer. Y Obtiene la energía necesaria para evolucionar de esa pequeña esfera que está cargada de nutrientes. Y Ricava l’energia necessaria all’evoluzione dalla pallina, ricca di sostanze nutritive. Y 작은 구슬에 모인 영양분을 흡수해 진화의 에너지로 삼는다. Omega Ruby It evolves by sucking the energy out of the small ball where it had been storing nutrients. Omega Ruby Es saugt Nährstoffe, die in seinem Bällchen enthalten sind, und nutzt die Energie für seine Entwicklung. Omega Ruby Il aspire les nutriments de sa petite boule pour pouvoir évoluer. 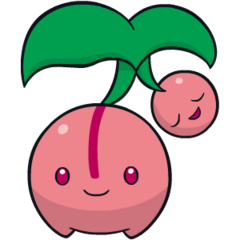 Omega Ruby Obtiene la energía necesaria para evolucionar de esa pequeña esfera que está cargada de nutrientes. Omega Ruby Ricava l’energia necessaria all’evoluzione dalla pallina, ricca di sostanze nutritive. Omega Ruby 작은 구슬에 모인 영양분을 흡수해 진화의 에너지로 삼는다. Alpha Sapphire Sunlight colors it red. When the small ball is drained of nutrients, it shrivels to herald evolution. Alpha Sapphire Sonnenlicht färbt es rot. Verliert das kleine Bällchen Nährstoffe, welkt es und die Entwicklung beginnt. Alpha Sapphire Il rougit au soleil. Quand la petite boule est à court de nutriments, elle fane en signe d’évolution. Alpha Sapphire Bajo la luz solar es rojo. La esfera pequeña pierde sus nutrientes y se seca para anunciar la evolución. Alpha Sapphire La luce solare lo tinge di rosso. Se la pallina esaurisce i nutrimenti, si avvizzisce indicando l’evoluzione. Alpha Sapphire 햇빛으로 빨갛게 물들었다. 영양분이 흡수되어 작은 구슬이 시들면 곧 진화한다는 뜻이다. Platinum The small ball is not only filled with nutrients, it is also tasty. STARLY try to peck it off. SoulSilver It evolves by sucking the energy out of the small ball where it had been storing nutrients. Black The small ball is not only filled with nutrients, it is also tasty. Starly try to peck it off. White The small ball is not only filled with nutrients, it is also tasty. Starly try to peck it off. White 2 The small ball is not only filled with nutrients, it is also tasty. Starly try to peck it off.